The first Hispanic American to be elected to the United States Senate, Democrat Dennis Chavez had a long and distinguished career in government service, first as a member of the U.S. House of Representatives and then as a senator from the state of New Mexico. Chavez was a strong supporter of education and civil rights. The third of eight children, Dionisio Chavez was born to David and Paz (Sanchez) Chavez on April 8, 1888. His family lived in what was then the United States Mexican Territory. (The area did not become the state of New Mexico until 1912.) When Chavez was seven, the family moved to Albuquerque, New Mexico. At school his name was changed to Dennis. Chavez quit school in the eighth grade and went to work. For the next five years he drove a grocery wagon to help support his family. He joined the Albuquerque Engineering Department in 1905, earning a large increase in income. Even after Chavez left school, he spent his evenings at the local public library. He was greatly interested in reading about politics, especially anything involving his hero, Thomas Jefferson (1743–1826). Chavez worked as a Spanish interpreter for Senate candidate Andreius A. Jones (1862–1927) during Jones's 1916 campaign. 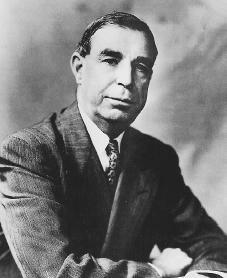 Jones rewarded him with a clerk's position in the U.S. Senate in 1918. While clerking, Chavez entered Georgetown University to study law. Although he had never finished high school, he was admitted after taking a special entrance examination. He earned a law degree from Georgetown in 1920 and returned to Albuquerque, where he established a successful law practice. A Democrat like his hero Thomas Jefferson, Chavez became active in local politics, winning a seat in the New Mexico House of Representatives. In 1930 he ran successfully for a seat in the U.S. House of Representatives, defeating the incumbent (prior office holder), Republican Albert Simms (1882–1964). The population of New Mexico was still very small and Chavez served as the state's only representative. He was reelected once and then turned his sights toward the U.S. Senate. (1888–1935). After a hard-fought, bitter campaign and a narrow defeat, Chavez challenged Cutting's victory, claiming that vote fraud had taken place. In May 1935, before the issue could be decided, Cutting was killed in an airplane crash. Chavez was appointed by New Mexico's governor Clyde Tingley (1883–1960) to serve in Cutting's place. Five senators expressed their unhappiness with this by walking out of the Senate as Chavez was being sworn in. Chavez, however, was the clear choice of the people of New Mexico when he was officially elected to the position in 1936, defeating a popular Republican candidate. New Mexico voters showed their support for Chavez by reelecting him to the Senate five times. Although he was often criticized for his independent positions on various issues, Chavez was a strong supporter of the New Deal programs of President Franklin Roosevelt (1882–1945). These programs tried to increase employment and bring about political and social reforms in the 1930s by expanding the functions of the federal government. Chavez also supported Roosevelt's 1937 plan to enlarge the Supreme Court, which many others opposed. Chavez's service on important congressional committees, such as those dealing with education, labor, and Indian affairs, allowed him to fight for causes he believed in. He protested cuts in the amount of land given to Indians and demanded an investigation of the Commissioner of Indian Affairs. In 1938 Chavez coauthored the Chavez-McAdoo Bill, which established a federal radio station in South America to compete with broadcasts that were being made there by fascist governments (military governments controlled by one party that deny the freedoms of individuals and use violence and terror to silence any opposition). However, in a surprising move the following year, he urged U.S. recognition of Spain's fascist leader, General Francisco Franco (1892–1975). Chavez also voted on behalf of measures to help farmers and took an interest in matters involving employment programs and unemployment benefits. Chavez earned the nickname "Puerto Rico's Senator" in 1942 when he started an investigation into the causes of poor social and economic conditions in Puerto Rico. His support of a bill to improve living conditions and attract industry to Puerto Rico and the Virgin Islands was important in helping it pass when it was put to a vote in the Senate. He also attracted national attention during his long fight for the creation of a federal Fair Employment Practices Commission. The bill was designed to protect workers from discrimination (unequal treatment) on the basis of race, religion, or national origin by employers or labor unions doing governmental work. The bill was eventually defeated in 1946—by only an eight-vote margin. Dennis Chavez was the only national Hispanic American elected official of his time. He worked tirelessly to further the interests of the state of New Mexico and is credited for bringing significant amounts of federal funding as well as key military bases to the state. Chavez died in Washington, D.C., of a heart attack on November 18, 1962, at the age of seventy-four. Kanellos, Nicolás. Hispanic American Almanac. 3rd ed. Detroit: Gale, 2002. Meier, Matt S. Mexican American Biographies, A Historical Dictionary: 1836–1987. Westport, CT: Greenwood Press, 1988.